The master returns. 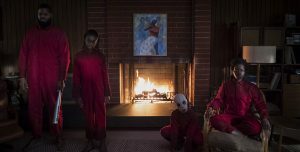 Jordan Peele’s second feature film, Us, opened last weekend, raking in $70 million in the domestic box office. After months of anticipation and promotion scattered both on social media and throughout cities worldwide, Us now has the biggest opening weekend of any original horror film. Ever. The film, which is sure to sprout a number of existential, cultural, or identity crises, is clever, witty, sharp, and a multilayered journey that dares you to go deeper to unpack it. It goes beyond horror, yet playfully approaches and builds upon the genre. Set in today’s world, Us follows the Wilson family on what’s intended to be a summer vacation to grandma’s house in Santa Cruz but quickly takes a turn for the worst. Prior to that, we begin in the 80s, where a young Adelaide (Madison Curry) wanders off from the city’s infamous boardwalk only to find herself face-to-face with another girl who perfectly resembles her. And just as he starts to peel back the curtain, Peele snaps us back to present day. There are a number of clues and easter eggs throughout the opening sequence, as well as the rest of the film, but it’s only later that you’re able to piece them together. 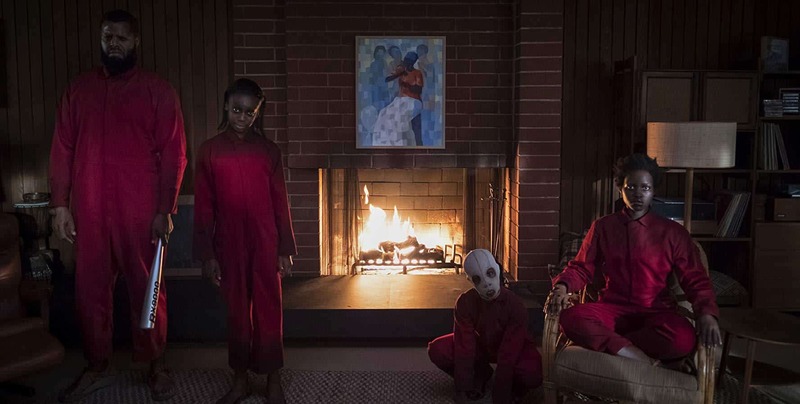 As seen in the trailer, Us picks up speed when Adelaide, now an adult (Lupita Nyong’o), and her husband, Gabe (Winston Duke), notice a family standing in the driveway of their summer home, or rather figures clad in red jumpsuits, eerily still. It’s not just any family; “it’s us,” as their son, Jason (Evan Alex) remarks. This other family quickly forces their way into the house. We learn where these strangers hail from and, more importantly, about the intentions of Red – Adelaide’s other half and an expertly transformed Lupita. In this world, humans are not alone. They have counterparts, shadows “tethered” to them, forced to live below ground, living out lesser and more grueling parallels to those above. Red is seething with revenge, having waited long enough to bring ruin to Adelaide and tear from her all she holds dear. “Incredible” doesn’t begin to cut it as the Wilsons face their counterparts, each a twisted, off-kilter version of their themselves. Fear slowly creeps in as the audience, and the Wilsons alike, gather the severity of their situation and scramble to get out as quickly as possible (See what I did there?). Lupita shines in her first and long-awaited leading role. The distinctive singularity between her two characters is bone-chilling. Duke is an excellent Gabe, bringing a much-needed punch of comedic relief exactly when needed, yet he still instills the strength of a father figure. Their two on-screen children, Jason (Evan Alex) and Zora (Shahadi Wright Joseph), are on another level, brave and seamless as they fend for themselves and protect their family, also twisting and shifting into a new skin to bring their “other” self to life. What we have is, essentially, a dream team, ready to fight off what looks like the end of the world. It’s also clear that Peele has aptly studied the horror genre; he is now able to play around with convention and tradition in his films, and make history in the process. His focus on black narratives is a much-needed turn in the industry as is the success of his work as a director thus far. It’s tiring watching horror films, and films overall, that solely cater to white audiences. As the debate around diversity continues in Hollywood, it’s more important than ever to push for change. Without giving too much away, there are a number of theories circling Us and what messages it serves to bestow upon us and our society. It seems to beg the questions, “Who are we?” “How can we hurt ourselves?” and “How do we harm each other?” Some believe it’s a commentary on when we stop caring about ourselves while others feel it’s in line with current tensions in our political climate and culture that easily and inescapably take a toll on us. It may be both and so much more. What’s so wonderful about Peele’s films is that they make you question everything. They challenge you to dig deeper, to look beyond yourself. His stories are purposeful; you know, sitting down in the theater, that he’s carefully curated what you’re about to watch. You’ll take it with you, let it seep into your skin, let it tug at you, question you, scare you, change you, delight you, haunt you. Inevitably, Us is sure to spark conversation. Did you like the film? 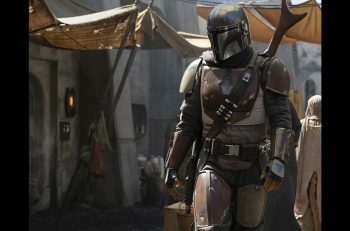 Do you have any theories or did you notice any easter eggs while watching? Discuss in the comments below!